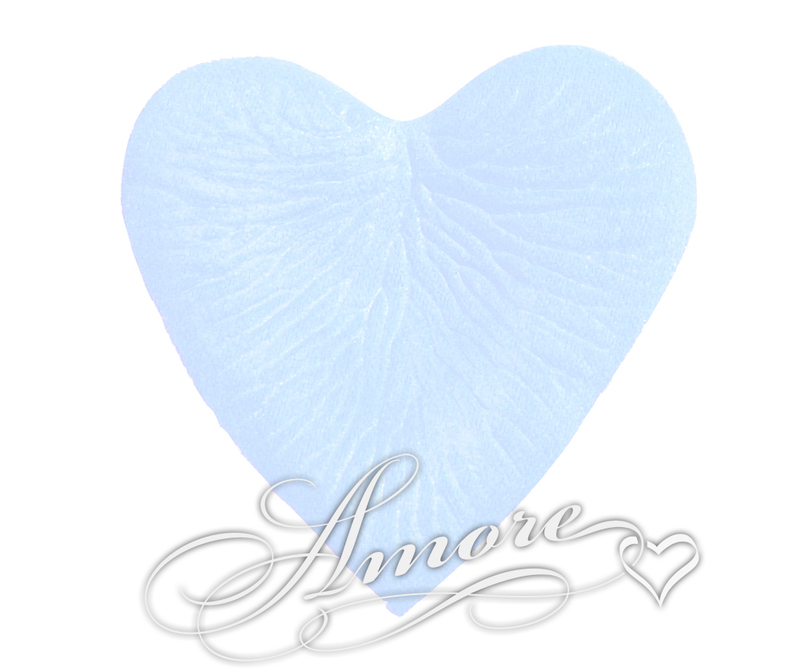 Blue Sky Silk Rose Petals are heart shaped to add romance to your special occasion. Add a special touch to your wedding, baby or shower, or other event with an elegant blue color. High quality silk rose petals. No small or sheer petals between. Petal size is 2 inch H x 2 1/4 inch W.